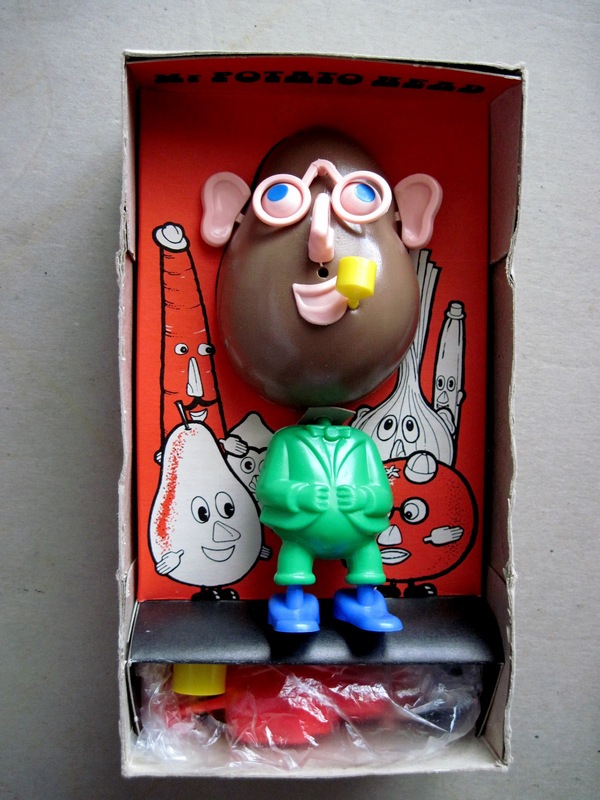 Part of a collection of vintage German and British Potato Heads I recently purchased, this boxed version was made in England by Peter Pan Toys in 1974. Licensed by Hasbro, it is nonetheless strikingly different from the American original. 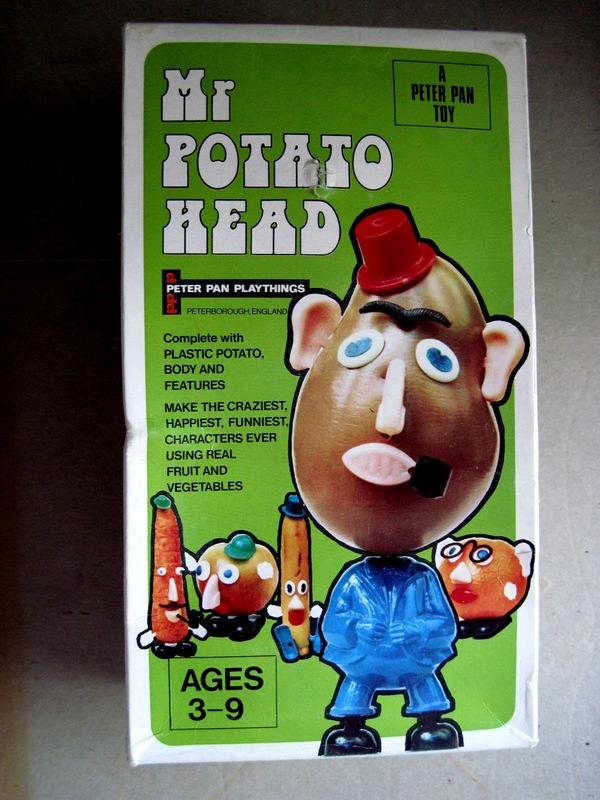 The plastic potato is a different shade of brown, and most of the accessory pieces are also differently colored and shaped. There was also a licensed character unique to England at this time: Mr. Egg Bodd, a hard-boiled egg man with an egg cup outfit he could wear. Sadly, I've yet to find one, but I remain hopeful. Even though Mr. 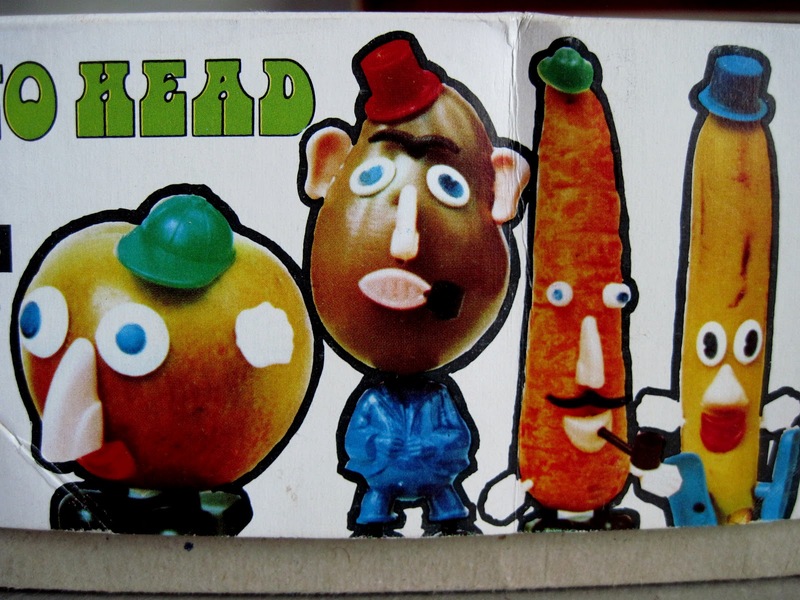 Potato Head came with a plastic potato by this time, this box depicts his friends made from real fruit and veggies. The art design of this box is quite crude compared to the richly illustrated German examples posted yesterday, but it has its own naive appeal. surrounded by his simply drawn but charming friends.